Sectary General of the Lebanese Hezbollah resistance movement, Seyed Hassan Nasrallah, said it was vital to offer financial backing to the residents of occupied East al-Quds (Jerusalem) to support them in their plight. Speaking in a televised address to crowds gathered in the Bint Jbeil town of Maroun al-Ras to mark the International Quds Day, Nasrallah said the Palestinians were shouldering the burden of protecting occupied Quds and the holy sites in it, the Daily Star reported. “(Another) challenge is the demographic challenge and the challenge in the change of the population structure,” Nasrallah said. He said that the city was facing an Israeli attempt to change its identity through adding further settlements and applying pressure on Palestinian residents to leave. “The truth is, the biggest burden falls on the Muslim and Christian Arab residents of Quds. “Their stay and the preservation of their houses is the real battle that they have been spearheading since 1967,” Nasrallah said. Despite its efforts, the Israeli regime has failed in its plan for demographic change in the city, Nasrallah said, urging all Muslims around the world to extend a helping hand. “This needs spending money. Spending money in this battle to help residents of Quds to stay in their houses, not to leave the city and to give in to economic and livelihood pressures and the financial temptations that are being offered to them,” Nasrallah said. He emphasized unified Arab and Muslim support for the Palestinian cause should become a priority again. 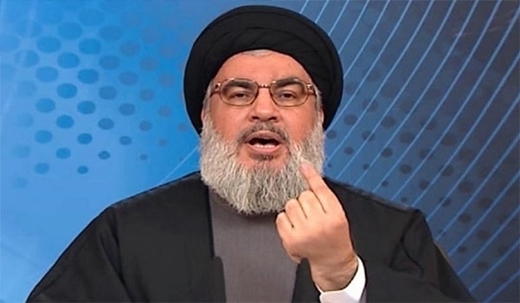 Nasrallah criticized those who adopted a pro-Israel position in order to curry favor with the United States. He said that some of the countries in the region seek to undermine the Palestinian plight in order to gain American support. He further said Hezbollah does not have a special project in Syria. “We are in Syria, where we should be and where the Syrian leadership has asked us to be,” he said. “When we bring back our youth and men to Lebanon we will be happy. We will feel victorious and that the mission is done,” Nasrallah said, adding that the group’s armed wing had no desire to stay in Syria longer than necessary.